From now on you can download the audio files of all the 10 chapters of Jó szórakozást magyarul! for free. The related audio files are supporting the learning process by making it more comprehensible and enjoyable. The total programme time of the sound files are 3:14:23. Coupons are still valid. We recommend our book to those Hungarian language learners who are at an intermediate level. They already know the basic grammar and would like to improve their reading techniques, understanding skills and their vocabulary. The sequence of the chapters is gradual. The easier chapters are followed by the more difficult ones. The finely illustrated, fun and interesting texts contain regional studies of Hungary, and all of the texts are related to various tasks. We have choosen to use informal Hungarian language to make the instructions more comprehensive. Our book is monolingual. You can try some of the audio files related to each chapters of the book. You can listen to the audio files of the following chapters for a few. Since the Jó szórakozást magyarul! book was not done for beginner learners, we would like to help you decide with the following reading comprehension test (PDF). We provide the right answers at the end of the test, so it can be checked once it is taken and it will be clear, if the book is usefull for further studies. You can order our book from the webshop or you can buy each chapter and the related audio file seperately. We take orders from Hungary and any other regions/ countries wordwide. We hope that our teacher colleagues will find pleasure in this book. First of all, because the book provides new exercises and on the other hand it brings humor and fun to the classes. All the teachers are familiar with how much time it requires to prepare for the intermediate classes. It is not enough to find the proper, authentic source, because interesting and usefull tasks must be created related to the subject. Not to mention the outlook. The Jó szórakozást magyarul! makes the teachers work easier. The interesting and entertaining texts have related reading comprehension monitoring tasks, and the students can solve these as homework. Last but not least the book will bring a great atmosphere to the Hungarian language classes. „I can relate to this book two ways: as a learner, and as a teacher. For me as a learner, the book is full of surprises and challenges. I have been learning Hungarian for over ten years, and they said the book would be too easy for me, but I found plenty to learn. The exercises make you scratch your head and think a bit! Another very strong element of the book is the materials pooled from two authors, which makes it colorful and solid, in spite of its compact size. 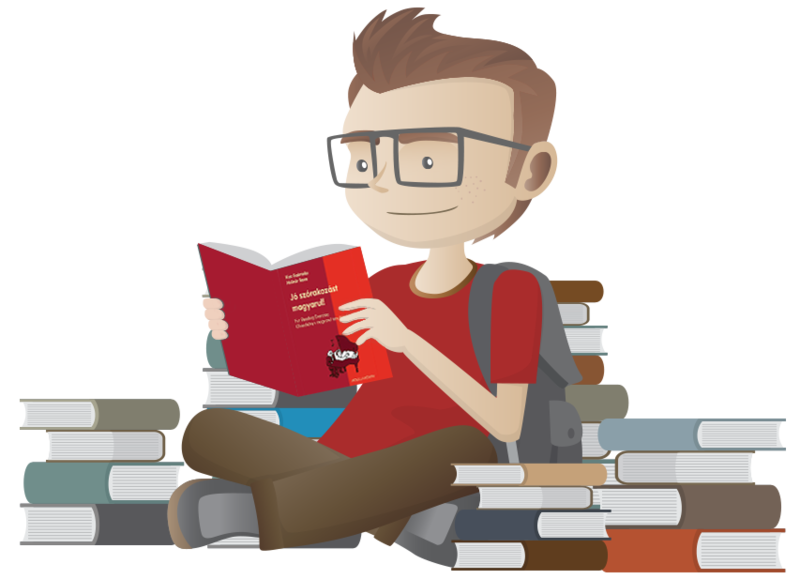 Going through the book, I feel how personal it is–as if it were saying to me, “relax and enjoy learning Hungarian! „I’m a former Hungarian Language and Literature graduate whose fluency has suffered owing to lack of practice over the last 10 years. Jó szórakozást magyarul! has been great for reviving my interest and refreshing my memory. The exercises are systematic, challenging and have reminded me of the playfulness of Hungarian. 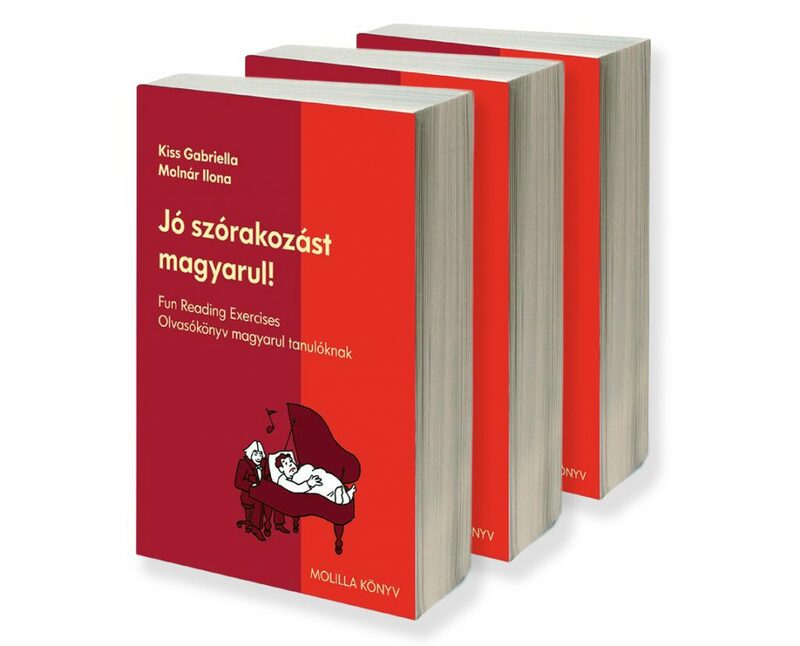 „Gabriella Kiss was my teacher of Hungarian and I remember our classes where she tested some parts of the book with us! I remember all of these stories and jokes and our discussions and new words that popped up in the conversations. It was fun!